ANNOUNCING: New cheese-of-the-month club delivers hard-to-come-by Canadian artisan cheeses Savvy Company launches ‘Savvy Cool Curds’. Ottawa-based Savvy Company just made it easier for cheese lovers to enjoy the growing number of artisan cheeses being produced across Canada. Today Savvy Company has launched Canada’s first cheese-of-the-month club that hand delivers ready-to-enjoy Canadian artisan cheeses to your doorstep. Known for its wine & craft beer expertise and innovative Taste and Buy events, Savvy Company has expanded its business to work with cheesemakers, creating yet another innovative way of connecting consumers with producers with this new service. Well-known Savvy Company Cheese Sommelier, Vanessa Simmons, will curate Savvy Cool Curds. “The artisan cheese industry in Canada is growing tremendously and making an incredible impression on the world stage. Just last week at the World Cheese Awards, Prince Edward Island’s Cow’s Creamery won SuperGold in the Vintage Cheddar category for its Avonlea Clothbound Cheddar and it was named one of the top 16 cheeses in the world! In August, Ontario’s Glengarry Fine Cheese was awarded Best of Show for its Celtic Blue Reserve at the 2015 American Cheese Society Awards,” says Savvy Company president and sommelier Debbie Trenholm. Every month Savvy Cool Curds subscribers will receive a parcel hand-delivered on the Wednesday closest to the 15th of the month. A delivery of Savvy Cool Curds will contain 4 to 5 different wedges and rounds between 200 to 250 grams each. A variety of farmstead and artisan cheeses have been hand-selected by Simmons and the month’s featured cheesemaker to ensure seasonality and peak ripeness for immediate enjoyment. From fresh to washed or aged and made using various milks – cow, goat, sheep and on occasion – buffalo; all told, the parcel will be approximately 1 kilogram of delicious Canadian artisan cheese. To further the enjoyment & discovery of the featured cheeses, subscribers will receive the Curd on the Street eZine – a monthly mini magazine with the insider scoop, Cheese Sommelier’s tasting notes, tips & tricks along with cheese-laden recipes. 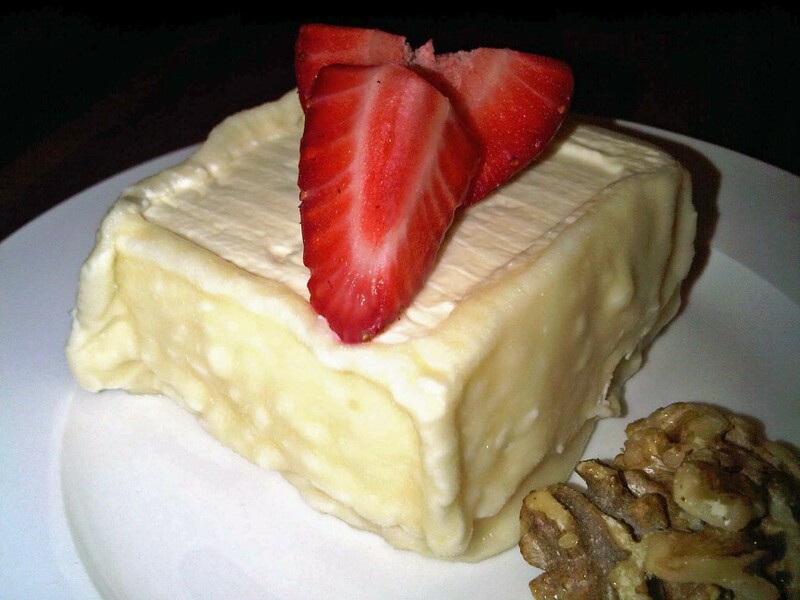 “Savvy Cool Curds is hands-down a great idea. There is no one better suited than Vanessa Simmons to select the best in Canadian cheese to discover each month. I’m sure the cheese-of-the-month club will succeed because consumers want local…they want Canadian,” says Georgs Kolesnikovs, Founder of The Great Canadian Cheese Festival held annually in Picton, Ontario. “The team at Savvy Company is great & having this opportunity to be featured in Savvy Cool Curds is exciting for us. Anyone who has met Vanessa Simmons quickly sees that she is passionate about Canadian cheese. She has developed strong ties to the cheesemakers & has made countless contributions to promoting local, regional, provincial & national cheesemakers. Subscribers to Savvy Cool Curds will benefit from her personal connections…the best part is that all of the cheese discoveries will be Canadian,” glows Maggie Paradis, owner & cheesemaker, Fromagerie Les Folies Bergères in Quèbec. To subscribe for four, six, 12 months or longer, visit www.savvycoolcurds.ca. Holiday Promo – subscribe for 6 or 12 months before December 30th & the subscription cost will be $55 per month (regular $60). “As soon as Debbie told me about Savvy Cool Curds, I wanted to be featured. In fact, a cheese-of-the-month club is so incredible, that I am going to subscribe!” supports Glenn Symons, owner, winemaker & assistant cheesemaker, Lighthall Vineyards & Dairy. “Consumers have fallen in love with artisan cheese. It is amazing. We have people who have subscribed to both our wine & craft beer of-the-month-clubs. Now, their fridge will be full!’ exclaims Trenholm. Savvy Company specializes in creative social experiences – whether making the enjoyment of wine accessible to all, exploring the worlds of craft beer or discovering artisan cheeses. Their team of accredited Sommeliers delight in designing wine, beer and artisan events, shining the spotlight on the people who make them. Their Savvy Selections wine-of-the-month club is Ontario’s largest featuring Ontario wines not available in the LCBO, while Savvy Hip Hops has rapidly grown to be Ontario’s largest craft beer-of-the-month club. Recently Savvy Company launched Savvy Cool Curds – Canada’s first artisan cheese-of-the-month club. Visit www.savvycompany.ca, follow @SavvyCompany or @SavvyVanessa on Twitter. Are you whey keen on cheese? With the largest cheese festival in Canada coming up this weekend (June 7 & 8), we want to help make your visit to The Great Canadian Cheese Festival the best experience yet. You will discover that Canadian cheese is so MUCH more than just cheddar! It will be a fun day meeting & learning from the dynamic people who put their heart & soul into crafting the cheeses. And new this year is a post-fest party Makers+Mongers that we are proudly sponsoring. It will be a fun (and delicious) way to unwind after the festival and mix & mingle with those involved in the cheese biz. Tip #1 – How to Get There? While you may be blown away with the numbers of different cheeses on display at Cheese Festival, the obvious question is: Where to Start? Here the list of cheese makers by province to help you map out your trip around the festival. NOSE –Take a big sniff – what does the aroma remind you of…A barn? fruit? nuts? earth? MOUTH –Take a nibble – Do it taste like mushrooms? sour milk? grass? Saltiness? Herbs? Bitterness? Tip #4 – Be on the look out for these cheeses! 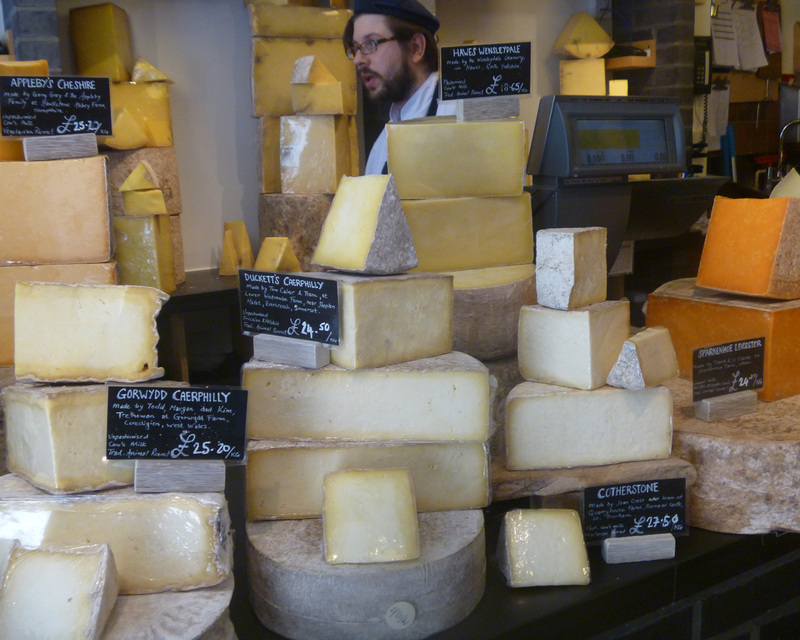 There will be over 200 cheeses…yes you read that right 200! Be forewarned and don’t try to sample them all. In addition to the recent award winners from the All Canadian Cheese Awards, here some to be sure to try at either the Cheese Festival or make sure to seek them out at your local cheese store. 2013 American Cheese Society Category Winner. Ricotta in Italian means re-cooked. This cheese is made from the leftover whey after making other cheese. This Ricotta reigned supreme, winning against over 225 of Canada’s best cheeses, a first ever for both an Ontario cheese, & fresh category cheese. My Notes: Fresh, creamy, melt in your mouth. Very light, but rich & very versatile as a simple cheese to eat with a variety of garnishes/ condiments or used in cooking. Inspired by their Swiss & French cultures, the resulting products are a marriage made in heaven & leaving their mark in Quebec. Cheeses are made from goats raised on the farm, in true “fermier” fashion. My Notes: This soft-surface-ripened goat’s milk cheese has a unique pyramid shape, with a lovely, natural, slightly wrinkled, soft moldy rind, that on occasion displays spots of blue. The paste is creamy, velvety, firm towards the center & slightly softer closer to the rind. It has a fresh aroma, with a light acidity. Organic farming techniques contribute to the aromas & flavors in their cheeses, as cows feed from forage fields of aromatic plants & flowers & care is taken to preserve flavors through the milking, handling & cheesemaking processes. One of the only producers of raw milk cheeses aged less than 60 days in Canada. My Notes: Soft, lactic, surface ripened cow milk cheese. A rare find. The skin-like rind reminds Vanessa of intricate ivory lace, while the dense interior has the texture of a soft cream sandwich or cheesecake. Note pronounced flavors & aromas of fresh sweet milk & grass that linger and linger. Finger licking good! Famous among Quebec cheeses, having won more awards over the years than one can keep track of. Simon Pierre, master cheese maker started off helping out & never left the business! Named as a tribute to his grandfather Alfred Bolduc who started the business 80 years earlier – as shown in the beautiful imprint inset into the rind of the cheese. My Notes: A true, rustic, organic, raw cow’s milk farmstead cheese made in small batches, pressed & cooked, washed/turned by hand. It has a European style, but with local terroir, as a result of choosing closely the hay from their local Estrie region (terroir!). Note heavy woodsy, herbal & floral aromas, with layers of milky, grassy & buttery complexity on the palette, more pronounced with age. Named for a mountain across from the cheese shop, not surprisingly big on taste! My Notes: A semi-firm, farmstead, pale blush-colored washed-rind cheese whose ivory paste becomes suppler with age – softening closer to the rind. Aromas are pronounced at room temp & on the palate experience fruity, salty flavors, sweet & sour cooked milk. Dense texture is perfect for snacking, or melted as grilled cheese. Old Grizzley – Sylvan Star Cheese Ltd. Owner Jan Schalkwijk, has been making cheese for over fifty years, from The Netherlands to Canada, has always been a dairyman, focusing on cows as a hobby. My Notes: Named for power & strength, naturally ripened & touted as “lactose-free” after one week due to the cultures used & the varying of temperature from room to higher than average during the first stages of affinage. Aged for two years, it has strong flavors of nut combined with a smooth creamy texture. My Notes: Firm to hard cow’s milk cheeses comes shaped in a loaf or wheel, covered in a waxy rind is a Gouda-style after Dutch farmstead cheese. It’s rich, dense & chewy with intense buttery, fruity, caramelized nutty flavors that linger forever. My Notes: A beautiful, semi-soft, raw organic cow’s milk blue cheese, it has a natural rind with spots of dark clay. The creamy, silky, straw-colored paste is speckled with slate & blue-green veins throughout. Rich in flavor, with a hint of sweetness, spice & salt, it pairs beautifully with iced wine, cider or port. New this year we are sponsoring the post-festival party called the Makers+Mongers serving up even more opportunity to mix & mingle with folks in the cheese biz while noshing on gourmet creations. Each dish will feature one of the top winning cheeses from the Canadian Cheese Awards. Everyone welcome to join the fun. And be sure to take part in the seminars too – including a Craft Beer & Cheese tasting by our own Savvy Sommelier Debbie Trenholm. And my seminar: The People’s Choice Awards to select your favorite Canadian cheese. We make it easy to be cheesey!